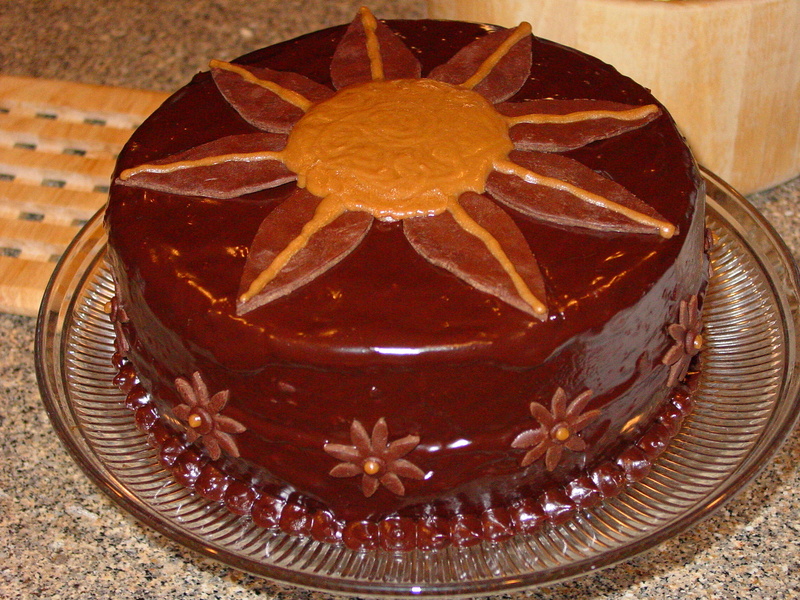 Devils food cake with peanut butter ganache filling. 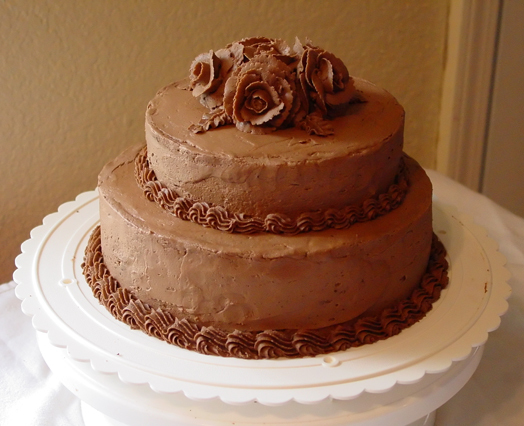 Frosted with ganache and accented with chocolate clay and peanut butter fondant. 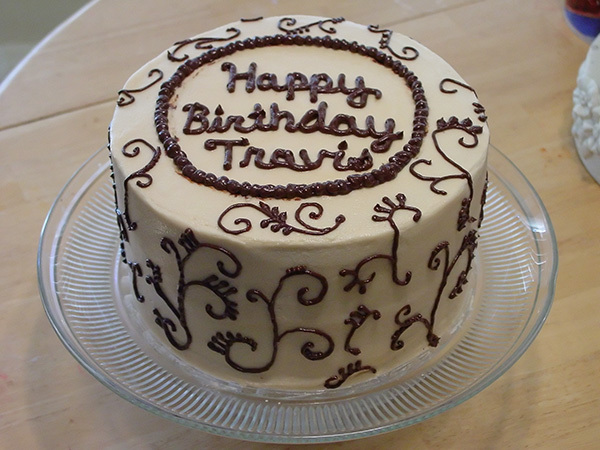 Birthday cake: Vanilla cake with Italian Meringue Buttercream. Ganach decorations. 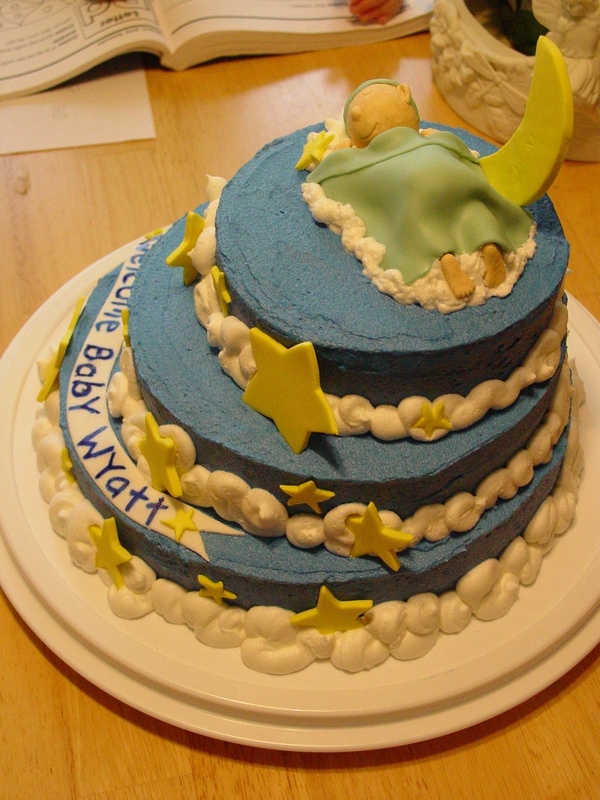 Father’s Day: 8 inch round covered in buttercream. 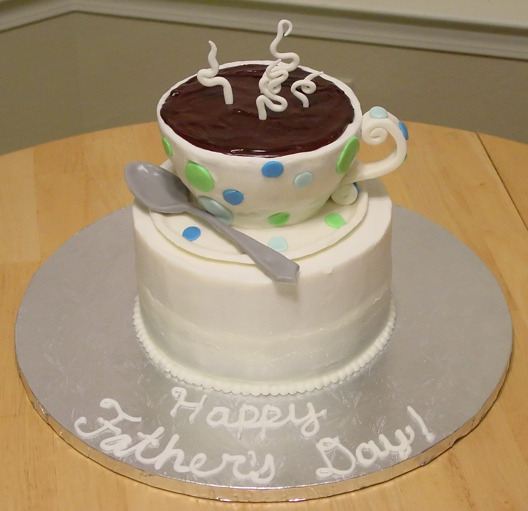 Coffee cup is a 1/2 ball cake covered in fondant. Flavors were white and Kahlua Fudge. The “coffee” is ganace. Steam and spoon are fondant. 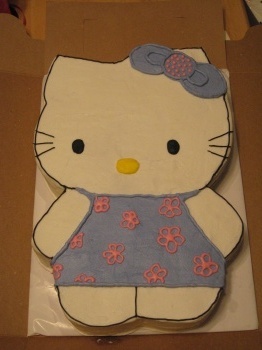 July 2008: Hello kitty cake carved from a 11X15. 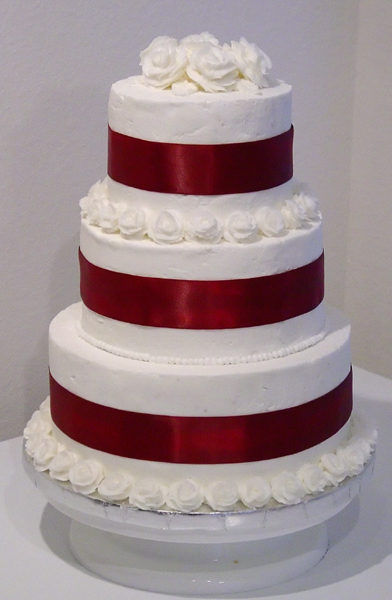 Frosted in buttercream. Goes with the Hello Kitty cookies. 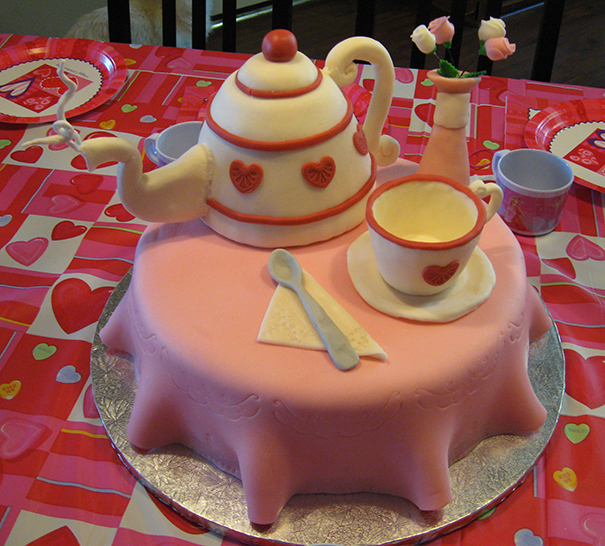 February 2007: We threw a Valentines Tea party for my daughter and her friends. 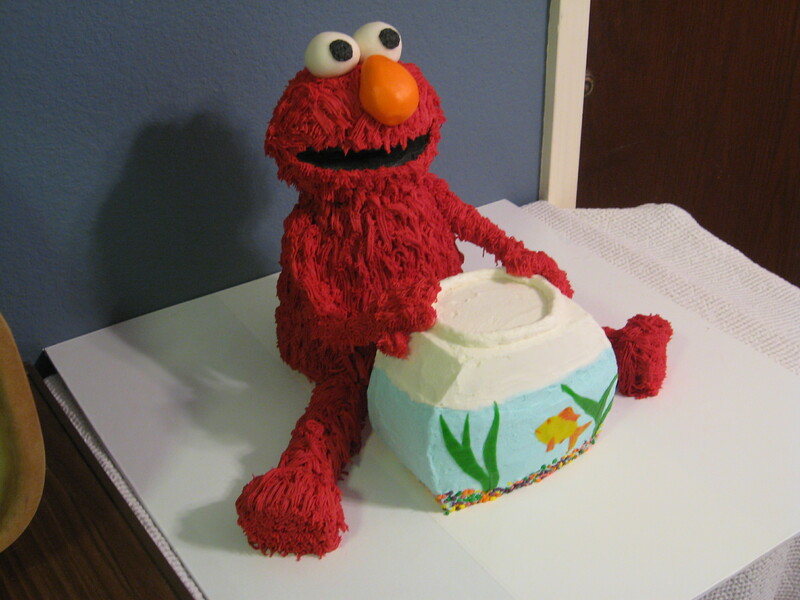 This is a 10 inch round cake covered in fondant tablecloth. Teapot is cake with fondant . Vase, flowers, cup, saucer, napkin and fork made from fondant. May 2007: Frosted in blue buttercream. 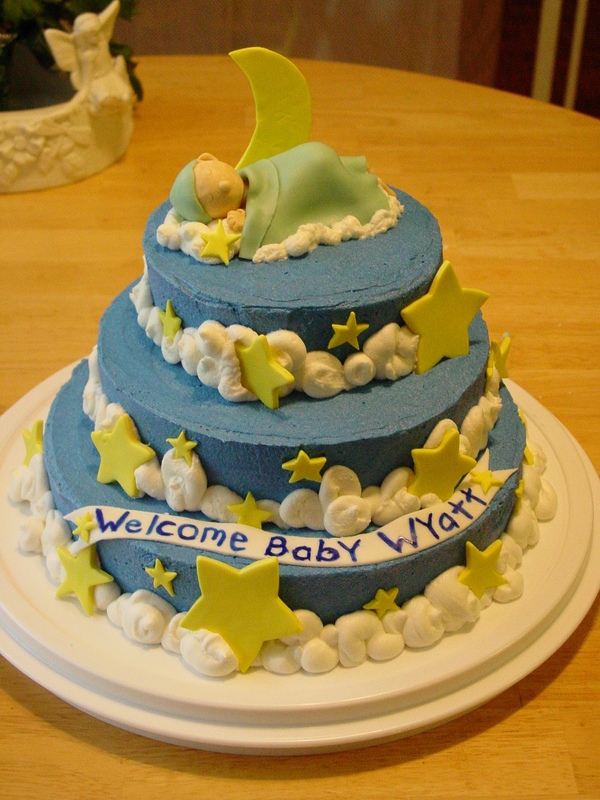 Buttercream clouds and fondant accents. 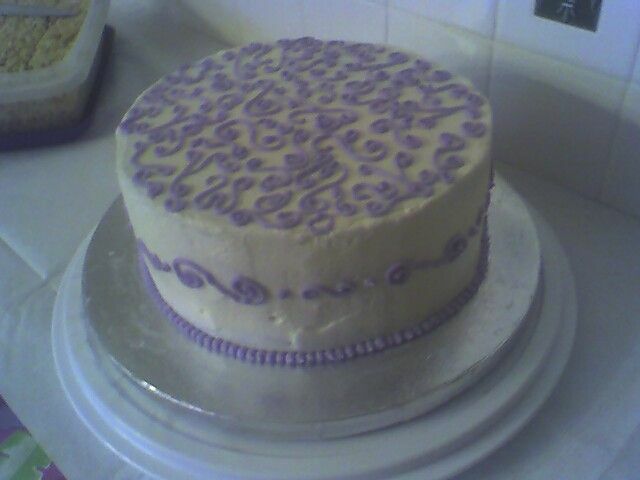 February 2005: My first stacked cake. Buttercream roses. 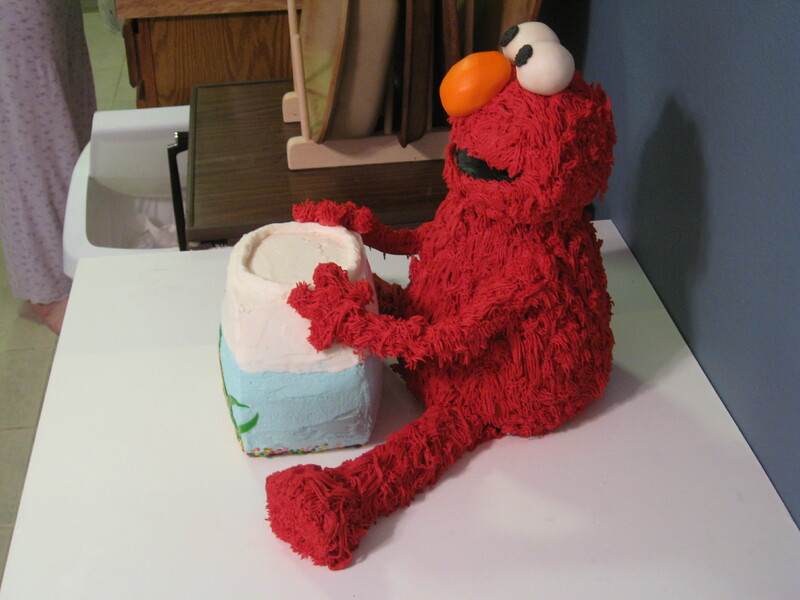 April 2008: My Youngest daughter’s second birthday cake. Carved body, head is a ball pan with a wedge cut out. Arms are fondant covered wire sculptures. Legs are cake pieced together. 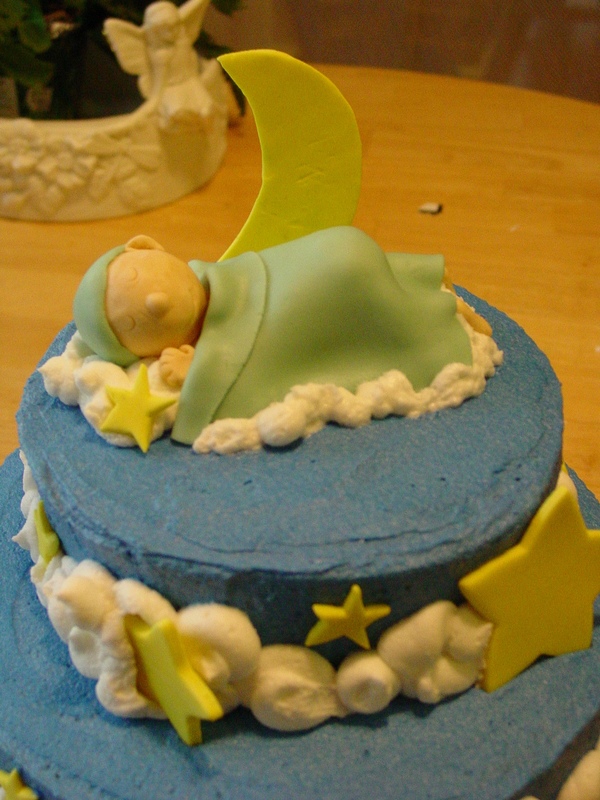 Everything is covered in fondant then buttercream “fur”. 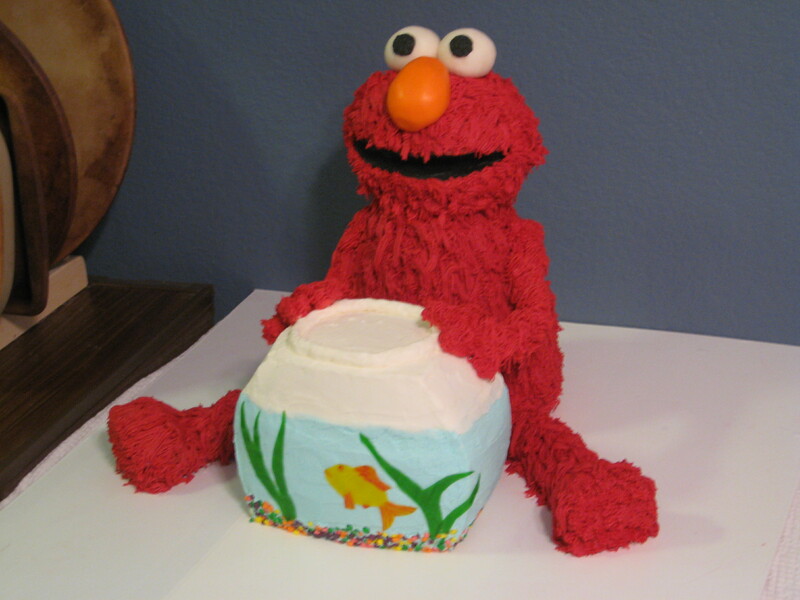 The cake bowl is 2 carved 9 inch rounds turned on end.